Force management is a critical issue for the Air Force due to its implications for readiness. The Air Force is facing a massive deficit of trained and qualified personnel across the enterprise, though pilots are the typical focus area. This shortage of human capital will have a large impact on readiness in the future. Readiness is a multi-domain problem; it affects all operations. Moreover, the human element is the critical piece of warfare. Unlike most industrial-era schools of thought, human beings are not interchangeable cogs in a machine, and this is the basis for modern talent management. Numerous strategists have focused on the human element in warfare, including Col John Boyd (Ret. 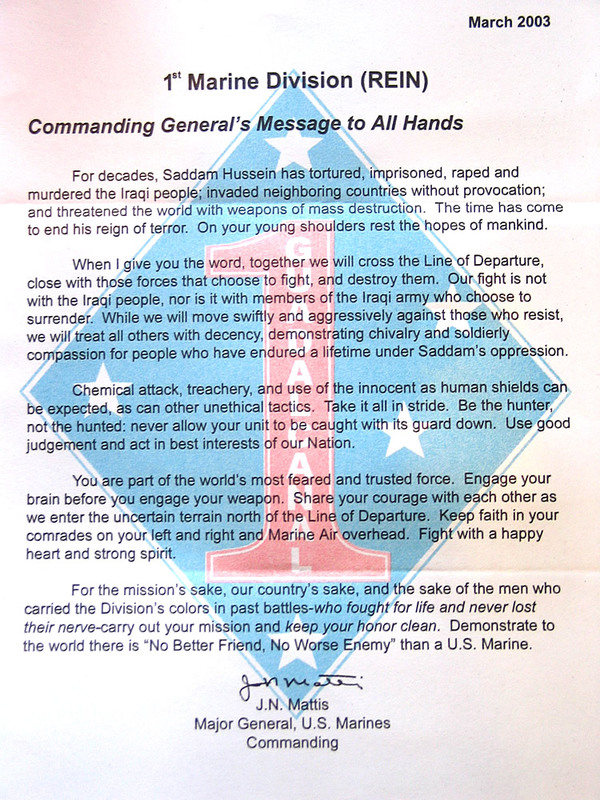 ), Gen Stanley McChrystal (Ret. ), and Secretary of Defense James Mattis. Secretary Mattis famously said “engage your brain before you engage your weapon,” exhorting acquired skills and training as the foundation for executing the mission. Ultimately, readiness is ensuring that Service members are placed in jobs with the right training, equipment, experience, and background to allow for successful mission accomplishment. The system that sets the foundation for readiness in the US military is the assignments process. The method in which Services match personnel to jobs has a direct impact on agility and mission accomplishment. John Boyd states that the very character of war is a Duel, a human action “directed against an animate object that reacts.” The agility of the Service assignment system to cross domains and match personnel, based on experience, to emergent requirements will determine mission success. To focus on one Service, the US Air Force’s assignment system must improve both in its agility and its ability to match personnel to jobs. Today’s rapid pace of change is straining the Air Force’s current assignment system. It does not give the member significant choices and it is relatively rigid (i.e., non-agile). The Air Force Personnel Center (AFPC) assigns Airmen to openings on manning documents. Changing manning documents by defunding or funding positions and changing requirements is difficult and often requires several years of lag time after a decision is made. Additionally, Air Force squadrons see that manning has been funded centrally to only 70% of requirements. Centralized control through strict top-down decisions is an industrial-age model of talent management that was introduced by Elihu Root in 1903 and, while popular with civilians of his day, it is no longer used by the civilian sector. In his book, Team of Teams, Gen McChrystal states that we have moved from an industrial age production-line model to a modern age construct where jobs overlap. In this new age, retaining talent in the right positions and moving them with efficient agility has become the key to success. In his book, Bleeding Talent, Tim Kane states that a free market of job opportunities combined with giving hiring authority to commanders, called the “All Volunteer Force” (AVF), would solve the problem of talent management. Free markets, however, can experience failures just like centralized programs. Market forces are not always enough to ensure smooth and equitable treatment of labor. In the 1940’s, the scarcity of medical students forced residency programs to make offers early but, if rejected by the student, it was often too late to find a replacement. This failure in the matching of medical students to residency programs drove the development of an algorithm-based approach. It was called the National Residency Matching Program (NRMP) and introduced in the early 1950’s. The algorithm used is the deferred acceptance, Gale-Shapley algorithm. The algorithm assigns residencies to student through a series of trading rounds which results in the students receiving their highest possible match. This program was updated in 1995 to accommodate applications by couples and received the 2012 Nobel Prize in economics for helping to resolve the market failure. The NRMP has two important characteristics; it has “Stability” and is “Incentive Compatible.” Stability is defined as a situation where two members cannot increase their satisfaction by trading their assignments, i.e. both trade up to an assignment higher on their preference list. Incentive compatible means that the system and the member’s satisfaction is maximized by truth-telling; there is virtually no way for the member to “rig” the assignments by lying about preferences and obtaining a better outcome. Through the use of the Gale-Shapley algorithm, the NRMP resolves the issue of assigning approximately 20,000 graduates per year to programs of varying desirability and all with limits to how many are accepted at each. This algorithm takes two lists of preferences, one from the member and one from the program, and creates a stable solution. Based on the experience of the NRMP and the similarities between AFPC’s and the residencies’ matching problems, the Air Force can bypass a completely free market and move to an algorithm-based approach to increase agility and transparency. 1.The Service member creates a preference list of open positions for the current cycle; this would be their job application list. Dual-mil couples can connect their lists for join-spouse assignments. In the near term, AFPC will still handle join-spouse cases manually while the algorithm is tested and refined. The unit commanders then create their own rank-ordered list of those who have applied. The commanders can see an online profile, essentially a record with resume/background experiences, and other qualifications. They have the ability to interview any applicants in the process of developing a rank ordering. The algorithm then obtains a stable solution based on the two lists. The 61X (Scientific/Research) officer career field completed a test run with AFTM. While the results have not been released, the opportunity remains to apply this algorithm-based approach to the entire active duty community. The AFTM should be used to match all officer assignments. In the future, it could be expanded to encompass enlisted assignments. Examples are given for how both officer and enlisted systems could work. However, the officer assignment system is the most applicable. The algorithms used to match personnel should differ based upon how long they have been in the Air Force. The needs of the Service in this system are assumed to be equivalent to the needs of individual commanders. Commanders, at all levels, have the best idea of what personnel they need to accomplish the mission. The obvious and justified objection to the expansion of AFTM is that commanders would not have the time required to interview and rank all members who applied for their manning openings. This problem drives the expansion into two groups, those who would be ranked by the commander and those who would not. AFSC Development Teams could determine when their specialty is served best by moving individuals from one to the other. For example, officer-heavy pilot squadrons may need to be more discriminating as to which officer billets warrant a competitive hiring process and the attention of the commander, whereas squadrons with fewer officers, such as maintenance or security forces, could use the selective process earlier in an officer’s career. Within the Gale-Shapley algorithm (ranked) group, second assignment officers would be ranked by the commander. Senior Non-Comissioned Officers (SNCOs) applying for flight superintendent, squadron Chief Enlisted Manager (CEM), Shirt, and equivalent positions would also be ranked. All other personnel would use another stable, incentive-capable algorithm called the “top-trading cycle” algorithm. It finds stable solutions for groups of individuals and assignments based on a one-sided market; in the Air Force’s case, matching would be based on manning openings and the preference lists of individual service members. The top-trading cycle algorithm would cover the majority of the force. AFPC would act as the program managers. They would ensure members submitted preference lists, and unique situations where members could not move to certain locations (e.g., Exceptional Family Member Program) were handled with care. AFPC would maintain the human domain element of the assignment system. With this, the Service members would have a clearer understanding that all options were tried and they received their highest possible preference. The increased transparency would greatly increase morale and trust in the assignment-matching process. Individuals who did not receive a base on their preference list could be batched together on their next assignments and run through the process first, thereby increasing their chances of receiving a base of preference in the future. Additionally, AFPC would have a much clearer picture as to which assignments were truly undesirable based on the demand signal generated from number of applicants to each open position. Continually unfilled openings could be sweetened with bonuses similar to those used in aviation retention and attached to locations like overseas Cost of Living Allowance (COLA) bonuses. Admittedly, these financial incentives would require new legal authorizations. All officers, Captain and above, and SNCOs within the Gale-Shapley algorithm group would compete for hiring in their respective billets by unit commanders. Members would see all open, applicable positions, as well as the number of people competing for that position. Visibility on the competitiveness of each position would allow members to align their preference list to realistic outcomes and spread applications across all openings. This algorithm grouping would have a primary benefit in that it would be optimized for the hiring commander’s preferences (i.e., the needs of the force), but no member would be able to be hired for a position if it wasn’t on their preference list. If a commander wanted a particular person, they would have to convince them to apply for the position. Officers and SNCOs who were not hired during the initial match would fill positions that had no applicants. This is unlikely, however, because members will have the ability to align their preference list to likely outcomes. For example, within Civil Engineer (CE) Squadrons, the Operations Flight Commander role is a highly sought after position and considered a necessary gate for those interested in command. An officer could signal their desire to command, while increasing their chances of achieving it in the future, by applying for an “undesirable” ops flight with few applicants. Vectoring would also come into play for those who are applying for positions. It would be a large benefit to have the senior officers in the specialty independently verify that an individual would be a good fit for a position. It could also be a requirement for each fields’ key developmental positions, like the previously mentioned CE Ops Flight Commander. Individual preference and career trajectory would clearly show in this system. The records would show that the individual has pursued leadership in academic jobs or technical expertise versus command billets. The talent marketplace would self-sort the individuals who wish to remain tactical experts and the legal hurdles preventing Captains from staying past high-year tenure could be removed. This would save the Air Force time and money as individuals who do not meet the requirements for promotion would not meet the Major’s Board. Service members could stay at Captain and specialize if desired. A plausible objection to the Talent Marketplace is that members would choose to homestead in a desirable location and, therefore, would not achieve a breadth of experience. The number of locations a Service member has been stationed at, however, should not be the primary concern for developing breadth of experience. The current Vice Chief of Staff (VCSAF) was stationed at few bases prior to O-6 and still developed leadership skills that were deemed worthy of four stars. A person can improve their leadership at one base just as well as, if not better than, an individual who has been assigned to many locations and does not have to deal with the consequences of their decisions. An additional counter-argument is giving Airmen more choice or the freedom to only apply to assignments they want goes against the military culture. This argument is summed up by the phrase, “this is not a democracy.” However, the Service member does get a vote once their Service commitment has been fulfilled. Current trends show that members are voting with their feet and leaving at an unprecedented rate. Algorithm-based assignment matching could also prevent the grouping of talent at one particular location. For example, imagine a scenario where C-17 instructor pilots are trying to leave Altus to be hired at Charleston or McChord. Currently, top pilots are tasked to Altus to train the following year groups, but pilots may not like the location. To incentivize service members to apply for Altus, the pilot retention bonuses could be location-adjusted like COLA to help even out the applications to the training bases (again, financial adjustments like this would require congressional authorization). Being the #1 preferred pilot for a Squadron Commander would be highly coveted, and these hiring ratings could begin to look like stratifications for career progression. Being a #1 pilot at Altus or being guided to improve your career by AFPC with leadership slots available at other squadrons could be an incentive for folks to leave more desirable locations. There are many benefits to be gained by moving the Air Force to algorithm-based assignment matching approaches. The first is that it would be a solution to the USAF Strategic Master Plan, Human Capital Annex vision, which desires to “develop alternatives to current practices that include updated career progression models, updated career lengths, assignment processes…[to provide] more individual control over career trajectories…” [emphasis added]. Secondly, organizational agility would increase, because members could apply for positions specific to their background and skills, and apply for new positions after accomplishing the task for which they were hired. Minimum time on station would still be observed, but greater specialization could occur while also allowing those with the desire to advance more rapidly. Third, increased transparency and satisfaction associated with more Service member control over the assignment matching and moving processes would raise morale. This control, when coupled with the Blended Retirement System, could be leveraged by recruiters for increased recruitment and retention. Lastly, team effectiveness would be increased at the squadron level because the commander will have built their team by hand and the team members will have a desire to prove their worth. This would be a part of revitalizing the squadron – a Core Focus Area for the current CSAF, General Goldfein. The expansion of the Air Force Talent Marketplace would increase the agility and talent management of the service. The Air Force needs to leverage the human domain instead of relying on an industrial-age model in a modern age. Building skills and areas of expertise will be critical to reducing the time it takes to “spin-up” individuals at a new assignment. In any future high-end conflict, personnel operating effectively from day one will be critical. The human domain crosses all others and, while wars are fought with weapons and technology, they are won by people. Captain Daniel Lamb is an Air Force Explosive Ordnance Disposal Flight Commander stationed at FE Warren AFB. He is a graduate of Virginia Tech and was previously stationed at RAF Mildenhall, UK. This article grew out of his Critical Analysis project at Squadron Officer School.